56 Leonard Street is an 821 feet (250 m) tall, 57-story skyscraper on Leonard Street in Tribeca, New York City, United States. Herzog & de Meuron describes the building as “houses stacked in the sky.” It is the tallest structure in Tribeca. The building has 145 condominium residences priced between US$3.5 million and US$50 million. Residences will range in size from 1,418 to 6,400 square feet (131.7 to 594.6 m2) and will include 2 to 5 bedrooms all with private outdoor space. As of May 2013, 70% of the building had sold. According to building developer Izak Senbahar, the building was 92% sold in seven months. In June 2013, a penthouse at 56 Leonard went into contract for US$47 million, making it the most expensive residential property ever sold below Midtown Manhattan. The building was completed in 2016. Due to its cantilevered balconies it has been nicknamed the Jenga building by the media. If you snooze you lose goes the old adage. Getting up early and starting the day bright eyed and bushy tailed is the way to success for the go-getters out there. The downside is having to get disrupted out of deep sleep by noisy contraptions. Here are some strange alarm clocks that will force a person to jump into the rat race at full speed. Once you get to the bathroom, you’re basically in the shower already and, once you’re in the shower, the day has officially begun. This sneaky little thing forces both your body and your wits into action. If you are a sucker for shooting games, you must try this Target alarm clock. The rules are easy: the clock will sound the alarm based on the time you set, and you need to stop it by using the laser target gun to shoot the bullseye. This Sonic Grenade alarm clock is guaranteed to get your sleepy children out of bed. 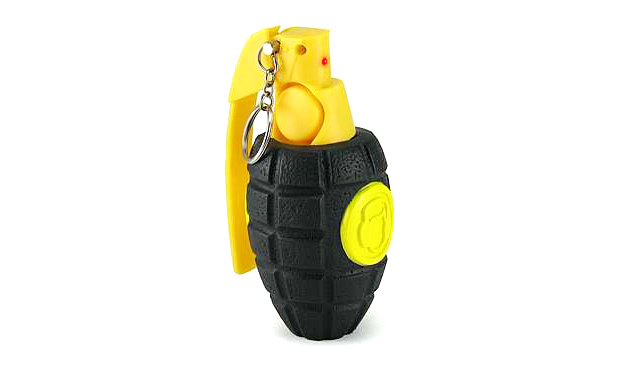 Just pull the pin, throw the grenade into the room and get out of the way as it emits an ear-piercing noise. 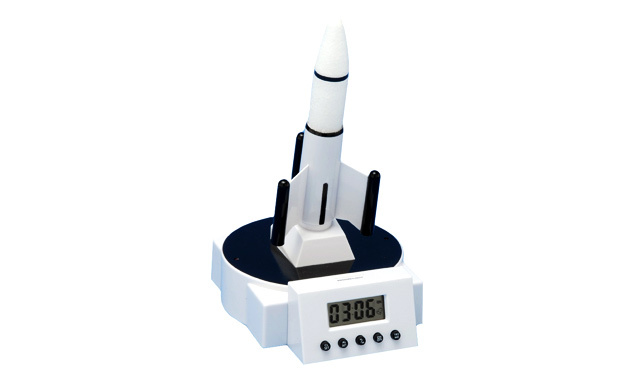 The Rocket Launcher alarm clock will really “launch” you from your bed. When the alarm goes off, it shoots a rocket off in your room, and the only way to turn it off is to locate the rocket and place it back on the launch pad. The toughest part about waking up for many people is physically getting out of bed. 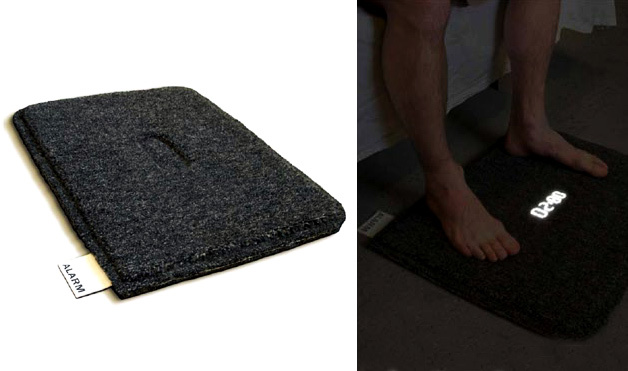 Luckily, the Carpet Alarm Clock helps you work through the hard part, by forcing you to stand up and step on the mat to turn it off. In the recent past we have published several videos showing pretty dangerous low passes: a Su-27 flying really low over a group of people after performing a low approach at an airbase in Ukraine; a Su-25 Frogfoot buzzing a group of female soldiers posing for a photograph; another one performing a low passage along a taxiway of a military airfield in northwestern Ukraine; a Mig-29 overflying pro-Russia separatist blocking rails, an Ilyushin Il-76 buzzing some Su-25s and Frogfoots returning the favor while buzzing the tower; an Mi-17 helicopter flying among the cars on a highway and another fully armed Mig-29 Fulcrum in the livery of the Ukrainian Falcons aerobatic display team flying over an apron at an airbase in Ukraine. However, Russian Air Force and Naval Aviation pilots love flying low and be filmed in the process too. Not only with the Su-24 Fencer, the type shown buzzing cars on a highway in a video that went viral few years ago causing military prosecutors to investigate flight records and safety measures carried out at military airfields. This time with a Su-33 Flanker-D. The Sukhoi Su-33 is an all-weather carrier-based highly maneuverable air defence fighter based on the Su-27 “Flanker” and initially known as Su-27K. It has larger (folding) wings, upgraded engines, twin nose wheel, strengthened undercarriage for blue waters ops. The Su-33 equips the only Russian aircraft carrier Admiral Kuznetsov and, as reported last year, a Russian Navy Su-33 Flanker carrier-based multirole aircraft crashed during flight operations from the carrier at its inaugural combat cruise in the Mediterranean Sea, to support the air strikes in Syria, on Saturday, Dec. 3, 2016. According to the report, the combat plane crashed at its second attempt to land on the aircraft carrier in good weather conditions (visibility +10 kilometers, Sea State 4, wind at 12 knots): the arresting wire snapped and failed to stop the aircraft that fell short of the bow of the warship. The Chinese Shenyang J-15, equipping the refurbished ex-Soviet Kuznetsov class carrier Varyag now “Liaoning” is also extensively based on the Su-27 and Su-33. Anyway, the following video show a Russian Navy Su-33 at some airbase in Russia, performing a couple of really low passes buzzing the cameraman. Cool footage, probably not too safe.